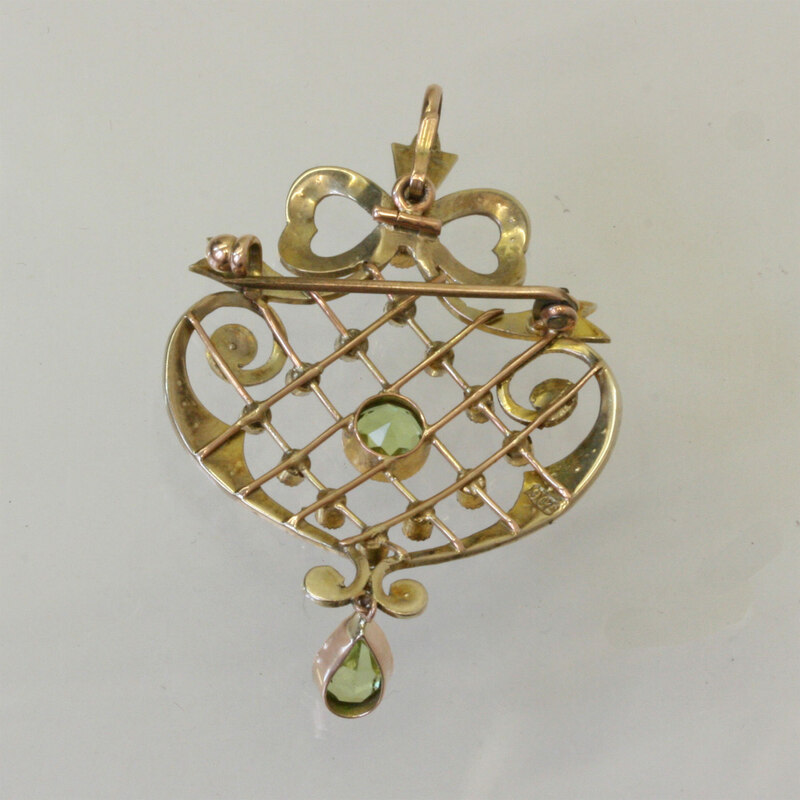 Antique peridot and pearl pendant. Product code: 881 Categories: Sold Items, Sold Jewellery. Made towards the end of the Victorian era of 1890, it is set with a wonderful combination of seed pearls and peridots. What makes this even more wonderful, is having the ability to wear it as either a brooch or a pendant. Very often over the years, the very small extra detachable piece to convert it to a pendant is lost, yet this one has remained intact with it. The piece is set with a total of 60 seed pearls and measures 50mm from top to bottom x 32mm wide. With a wonderful pierce worked design, it is made in 9ct gold and looks sensational!